Quinn and Graham didn't have the most conventional of meetings, but it is apparent from the start that they are meant to be. After seven years of marriage though, they've grown and changed in ways that they never expected, and may not be able to find their way back from. Despite their struggles and disconnect over the last few years they still share an everlasting love. But is love enough? "…it’s hard to admit that a marriage might be over when the love is still there." Though our situations are slightly different, there were so many instances that I could personally relate to instances between Quinn and Graham. I even discussed the book with my husband while preparing dinner one night, which I don't often do. Complex, unforgettable, and heartbreaking; the story kept me turning the pages well into the wee hours of the morning making for a couldn't-put-down, all-night-read. The tale is narrated in 1st person POV by Quinn, vacillating between past and present. I have so much love for the couple, Quinn and Graham, their journey from THEN to NOW pulled at my heartstrings. Sometimes this type of transition confuses the plot, and other times it helps to complete a picture. All Your Perfects is the latter. You fall in love with this couple as they fall in love with each other, and you learn what has put them in such a fragile state. You'll end up both anticipating and dreading the eventual revelation of "the box". Knowing it was the start, and could potentially be the end. There were moments that I cried silently while reading in bed, moments that I wanted to reach into the pages and shake a character while shouting, "Why?!". Other moments that my heart would soar while in the next it would plummet. The sphere of emotions that I was put through while reading cannot be put into words, and I wouldn't change a moment of it. If I had to sum up this book in one word, it would be - Inspirational. As with the stirring quote above, and with anything in life, if you only focus on the negative - the flaws - that is all you will eventually end up seeing. Unfortunately, like many of us in real life, our characters found themselves at a time living in a world of flaws. I love how real, and gritty, and dynamic the story was. How it highlighted the tough topics with not a hint of gloss. Compelling from beginning to end, Hoover penned a fabulous story with a richly written, character driven, and highly emotional plot. 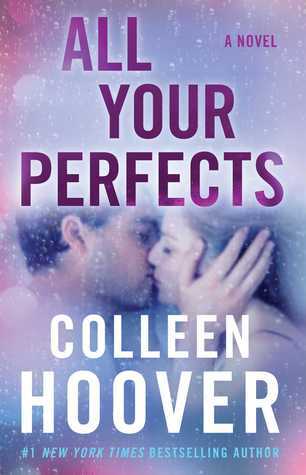 All Your Perfects hit every check-mark in my list for a perfect romance - a perfect story period. Generally only truly understood while living it, the author perfectly captures the trial and tribulations of marriage, breaking it down so entirely that I think this book should be recommended during premarital counseling. I honestly can't say enough about this book so I hope you'll take my word on it when I say that you must read it. When you do, please come back here to let me know what you thought. If it impacted you as much as it did myself. 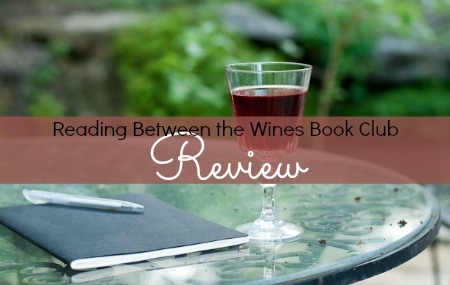 Another amazing read from Colleen Hoover! The story of Graham and Quinn is the story of love, loss, and real relationships. You will see yourself or your friends in this book, and the realness of the feelings will just blow you away. I read it in one sitting, and can't stop thinking about how honest and true to life it was, and how it gives me hope that relationships can endure through difficult times.